While an onslaught of marketing buzz has the Internet of Things (IoT) sitting in a hype-versus-hope phase, skepticism has certainly not hindered curiosity. This was evident at the two-day Internet of Things World conference in Palo Alto, where the Crowne Plaza proved to be an undersized venue for more than 75 speakers and 750 attendees looking for clarity on just what this IoT thing is. The issues were vast and the discussions were broad. Sessions included everything from health and wearables to smart homes and cities to connected vehicles and transportation. Another technology track dealt with applications in precision agriculture. 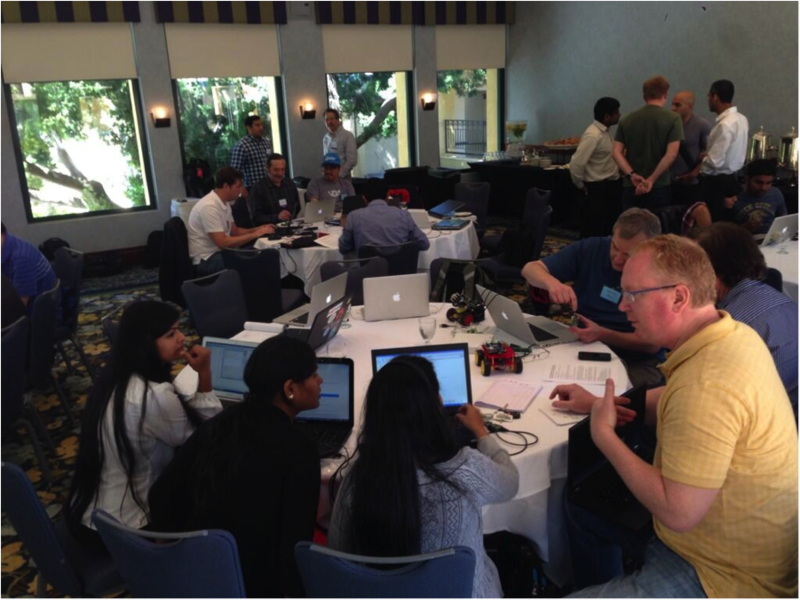 An accompanying hackathon also provided an arena for tinkerers to DIY robots based on Marvel, ARM, and Broadcom silicon. The conference was a big enough success that the next event will be held at San Francisco’s Moscone Center, but unfortunately that won’t be until May of next year. However, as a consolation prize to those of you who missed it, what follows is a brief rundown of my Internet of Things World meetings that highlights the people and technology advancing the IoT. 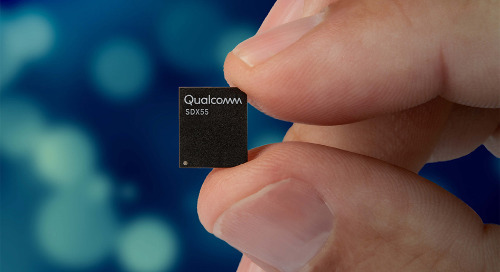 Going into the event I knew that Sequans Communications was an LTE chip manufacturer, which didn’t make much sense to me as 3G/4G broadband chips and services are typically regarded as one of the more costly options for IoT connectivity. 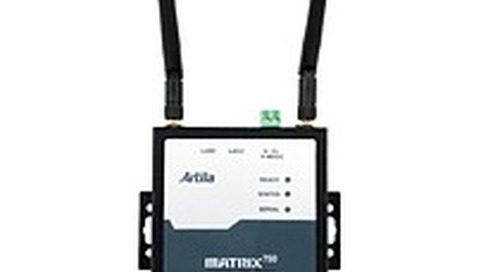 However, Craig Miller, Sequans’ VP of Worldwide Marketing, pointed out that many industrial devices today are run on 2G networks, and will eventually need to migrate to higher speed networks if they are to realize their full potential in the IoT. Furthermore, because industrial applications are often immobile they can utilize single-mode chips with a significantly reduced cost – as low as $20 and declining. 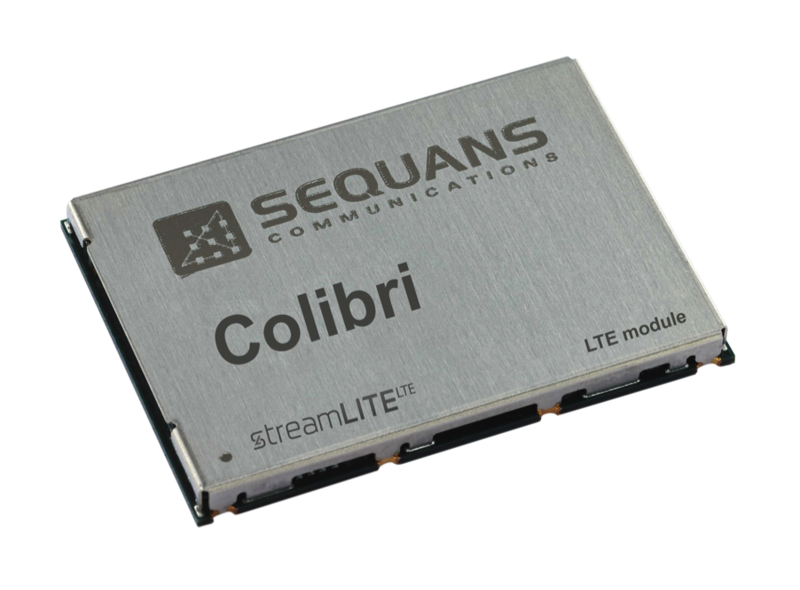 This makes chipsets like the Colibri LTE Platform a viable option in a variety of Machine-to-Machine (M2M) applications, including energy, agriculture, and transportation, among others. While being pushed to an outdoor meeting venue by the World Cup matchup between Brazil and Mexico, my meeting with Manas Saksena, Senior Director of Technology at Marvell was the first of several that stressed the emergence of Wi-Fi as the possible de facto medium for IoT communications. With that in mind, Marvell is entering the IoT space with a range of plat-forms, such as the Wi-Fi Microcontroller Internet of Things Platform, that are pre-integrated with low-level communications functionality so developers can focus on the applications that will drive IoT adoption. To find out more about Marvell’s plans for accelerating mass adoption of the IoT watch Philip Poulidis’ keynote from the event. One of the most exciting aspects of new markets is that it pro-vides the opportunity for companies to put a new spin on exist-ing expertise. 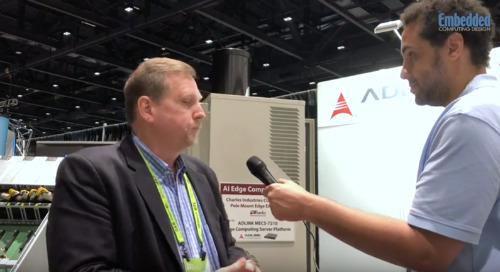 Grid Connect is one of these companies, and while they’ve been involved in the embedded sensor and net-working sectors for some time, Vice President Adam Justice showed how the IoT presented an opportunity for some plug n’ play. In the vein of Do It Yourself (DIY) platforms, the Grid Connect ConnectSense family of ARM7-based sensor modules use Wi-Fi to connect with a cloud platform for monitoring environmental conditions such as temperature, humidity, motion, light, and more. Using a REST API users can access a rules engine to build applications based on various sensor data, and establish phone, text, email, or tweet status notifications. 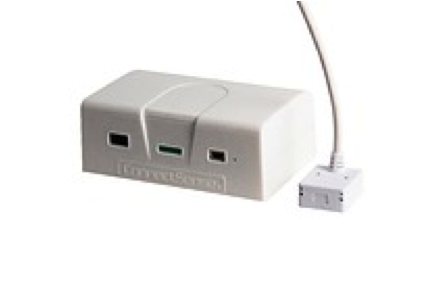 ConnectSense has already been deployed in various home and business automation applications, with an especially cool use case being in agriculture where the sensors were used to track the conditions of orange fields. 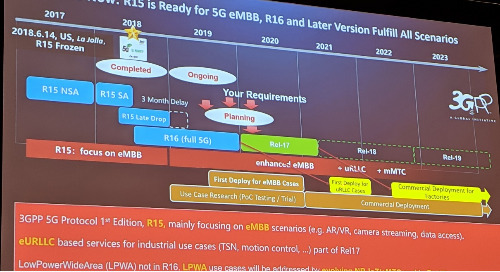 I’ve been tracking IoT developments from Wind River (and Intel) for some time now, and after the introduction of the Intel Gateway Solutions for the Internet of Things earlier this year I thought there might be a lull; I was wrong. 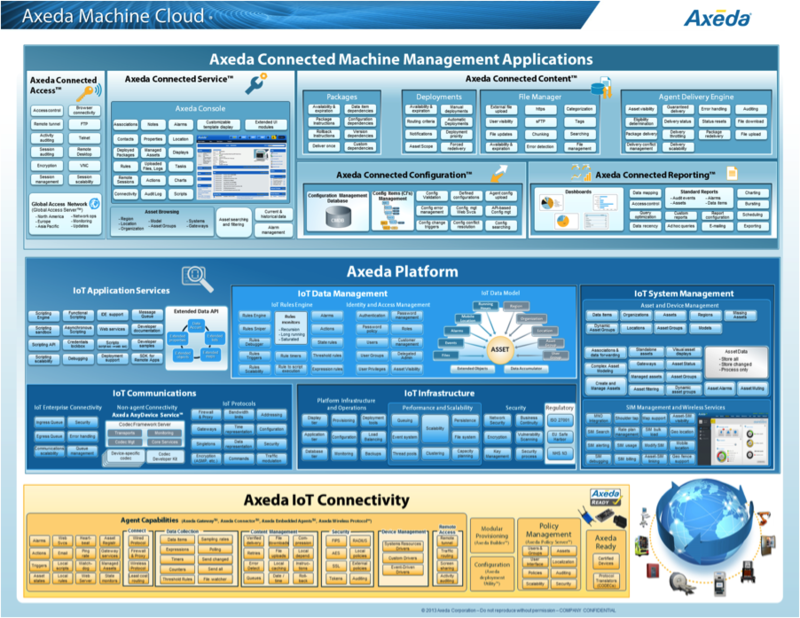 During the event, Wind River announced that it had entered a partnership with cloud platform provider Axeda that will integrate Axeda’s Machine Cloud IoT platform with the Wind River Intelligent Device Platform, as well as other products. Axeda VP Dan Murphy and Ido Sarig, Vice President and General Manager of IoT Solutions at Wind River, described how the partnership will provide an end-to-end solution for IoT applications that integrates the connectivity, security, and development capabilities of the Wind River IoT gateway solution with Axeda’s cloud-based services and software so customers can easily aggregate edge device data for intelligence and analysis. This is a big step towards handling Big Data, which at the end of the day is what the IoT is all about. At times it’s difficult for me to separate “Freescale” from “Automotive,” but that wasn’t an issue in my meeting with Steve Nelson, the company’s Director of Marketing. In one of the most forward-thinking conversations I had during the event, Steve and I discussed the “connected car” as a managed object that exists explicitly within the context of a larger infra-structure (such as a smart city), and how Freescale is working to transcend their position in verticals like automotive out into the “horizontals” that will inevitably make up the IoT. For example, how can information gathered by ECUs, such as those based on the company’s Kinetis family of MCUs, be leveraged by emergency responders to save lives? And, what implications does this type of connectivity have on security and privacy? 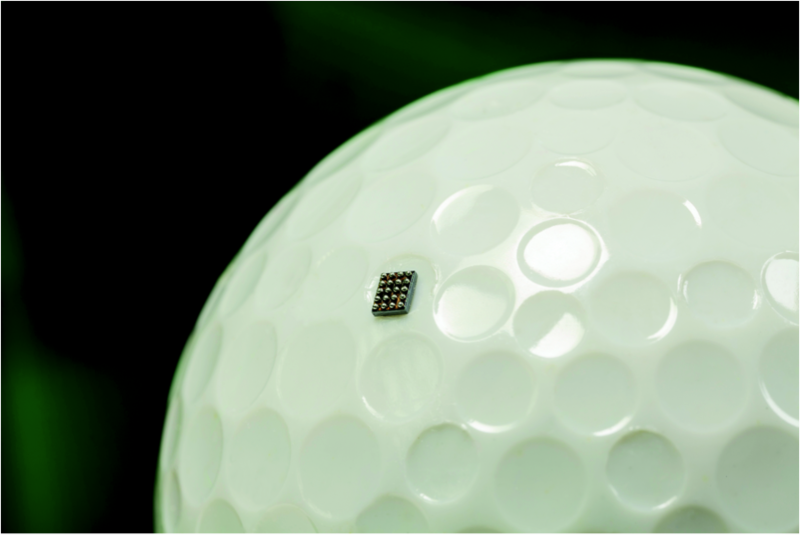 Expect more on these topics from Embedded Computing Design later this year. Right as Ecuador and Honduras were about to face off in a World Cup Group E matchup, Brian Bedrosian, fellow soccer fan and Senior Director of Embedded Wireless at Broadcom, clarified the company’s recent decision to exit the cellular baseband business and plans to move forward with Wi-Fi offerings for the smart home, building automation, telehealth, and other verticals. 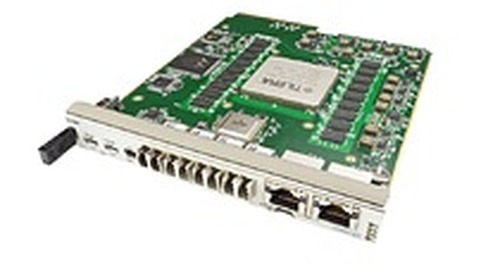 This lead to a presentation of the company’s WICED platform (Wireless Internet Connectivity for Embedded Devices, pronounced WICKED), a development system based on an embedded wireless LAN chip, Wi-Fi drivers, and application library that enables low-power Wi-Fi connectivity and Bluetooth bridging for developers, while also expanding the Broadcom’s position in the core wireless infrastructure market. 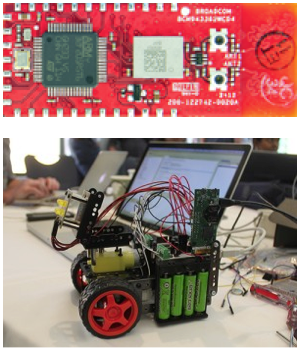 In addition to the continuing Wi-Fi theme, Bedrosian emphasized integration as a key driver of the IoT, citing the WICED Software Development Kit (SDK) that includes an open-source, GNU build system and Eclipse-based GUI development environment for creating portable IoT applications. A partnership with Ayla Networks also provides WICED users with access to cloud-based management, making the platform another turnkey solution for IoT development. One of my final meetings of the event was with PrismTech SVP Steve Jennis, who managed to put all of the IoT hype back into context. Realistically, the IoT is an expensive proposition, and one that comes with too large a price tag for most companies to dive right into. For the Ciscos, GEs, and Rock-well Automations of the world, pushing the IoT makes sense because even if it doesn’t take off from a commercial stand-point, it’s still provides an improvement to in-house infrastructure (in other words, these entities could potentially benefit from the IoT as both vendor and user). In those terms, a $15 million investment is well worth the risk; most CFOs, how-ever, would be perplexed if you handed them a long-term strategy with that type of price tag and no guaranteed returns. 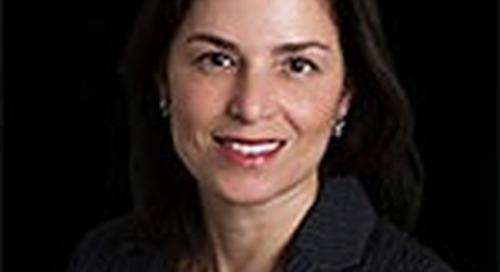 Jennis defined the IoT as a systems integration job that doesn’t scale well, and the precursor to its success is a continued reduction in the cost of access and connectivity. 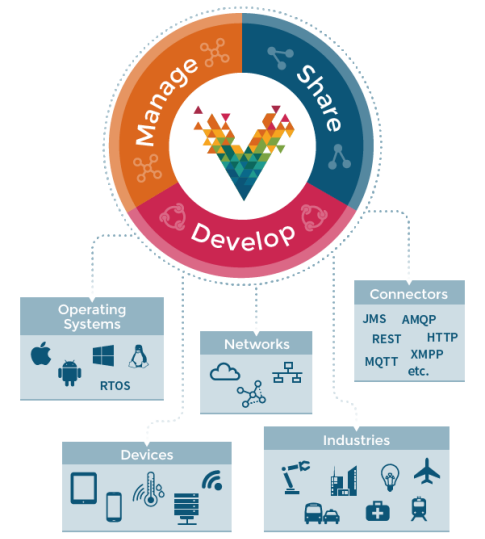 To help facilitate this, PrismTech is leveraging experience with the Object Management Group’s (OMG’s) Data Distribution Service (DDS) middleware in products like Vortex that extend secure, real-time publish/subscribe messaging for large-scale deployments in smart city, utility, healthcare, transportation, financial, and other markets. 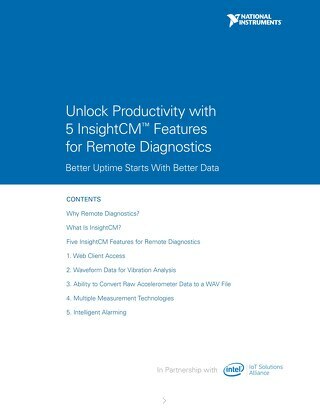 In the company’s view, these agents are a critical component of the IoT’s global data space that will allow for cost-reducing techniques like predictive maintenance. 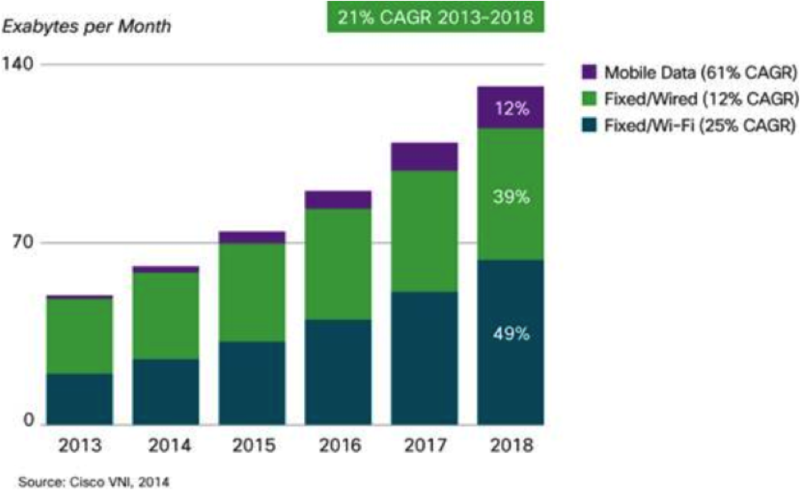 While there are still a great deal of IoT skeptics around the embedded industry, PrismTech’s Jennis perhaps put it the best: “Whatever they think about [the IoT], CEOs better have a multi-year strategy for growing out of their current connected environments.” As such, it might be worth attending an up-coming IoT event like the M2M Evolution Conference in Las Vegas. In all, Internet of Things World was a great success in my book, with the only demerits being venue size and a schedule that inconveniently coincided with the World Cup… but neither of those should be issues next year! Is the IoT real? Post your thoughts, questions, or comments below, or e-mail me at blewis@opensystemsmedia.com.